Sweet Eats Cakes: Fun Giveaway! So, as I stated before that when I hit 100 "likes on Facebook I would do a giveaway! I wasn't sure exactly what I should giveaway, but decided to giveaway two books that helped to get me started in the caking world. I hope that people will enjoy and learn from these books just like I did. 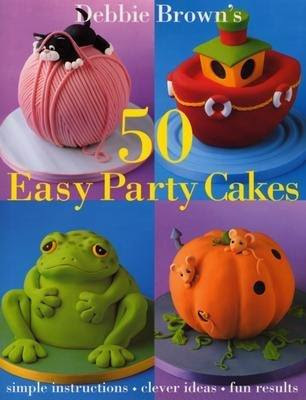 So first up is Debbie Brown's 50 Easy Party Cakes!﻿ There are so many fun and easy cakes in here to make for all different occasions! Next up, another Debbie Brown book (she is amazing) Cartoon Cakes. These two books have taught me some wonderful skills including sculpting and figure modeling, and I think would be a wonderful addition to anyone's collection! The Giveaway﻿ is now closed! Become a follower of my blog, and leave me a comment on the blog telling me so. If you already follow me, let me know. Become a follower on Facebook, and leave a separate comment on the blog telling me so. If you already are a follower, let me know. Be sure to tell your friends about Sweet Eats Cakes so they can join in on the fun! Leave a comment for each separate entry, and let me know how to contact you. If i can't contact you, then you can't win. Ends Tuesday June 7th, at midnight. I can be reached at mandie.thejoyofcake@gmail.com if im chosen- i agree, debbie brown is awesome! I just started following you yesterday! Would love to get in on the giveaway! Love your cakes and I follow your blog. I'm also a fan on facebook! Thanks again for the great giveaway! Just started to follow you today. 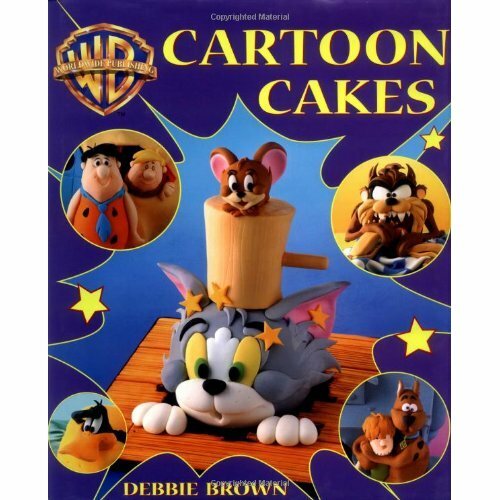 I have one of you cakes in my favorites on cakecentral that I love. The retirement cake (pink, black and white) Your cakes are beautiful. OO COOL! I follow you on your blog! Am I included in the fun??? I stalk... or follow you on facebook. You can contact me in the office next to yours, possibly by shouting.